To celebrate the 100th anniversary of the Bauhaus, the twentieth century’s most influential design school, we asked Berlin photographer Axel Kranz to add some spice to the Bauhaus’s mission statement: Less is more. The goal of the Bauhaus was not to create a new style, but to give birth to a radically new way of design thinking that would comprise every aspect of human life. Here at SCENTURY, we believe that the sense of smell still needs a little push to the fore, some added fragrance infused into the idea of a radically modern Gesamtkunstwerk. For our olfactive homage to Gropius and his gang, Kranz paired each image with an inspired Bauhaus hero, always keeping in mind Wassily Kandinsky’s motto: “That is beautiful which is produced by the inner need, which springs from the soul.” Enjoy! 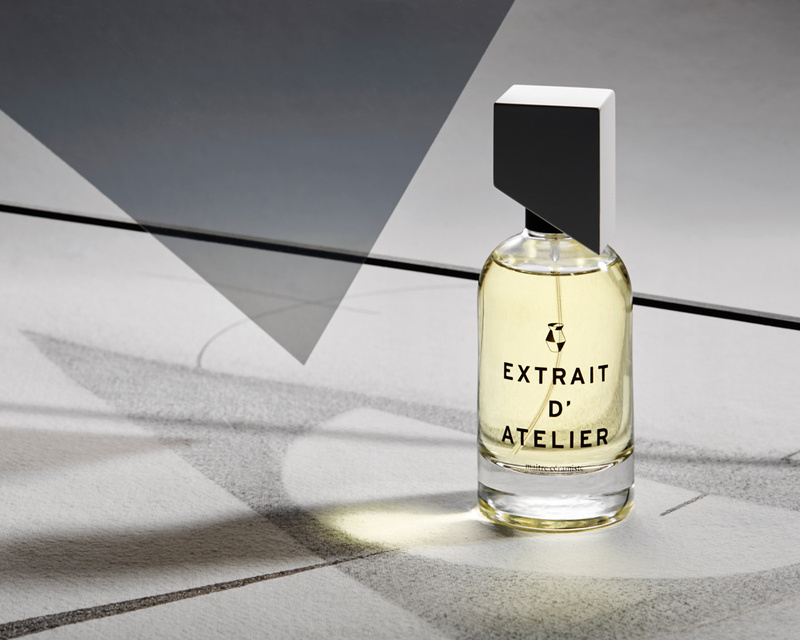 The creators describe this scent as an invitation to awaken “a unique personality with a carnal kiss, where the darkness and the moon are the only witnesses.” What better way to start a design revolution than through the power of love? This image was inspired by Moholy-Nagy’s AM7, 1926. Together let us desire, conceive, and create the new structure of the future! 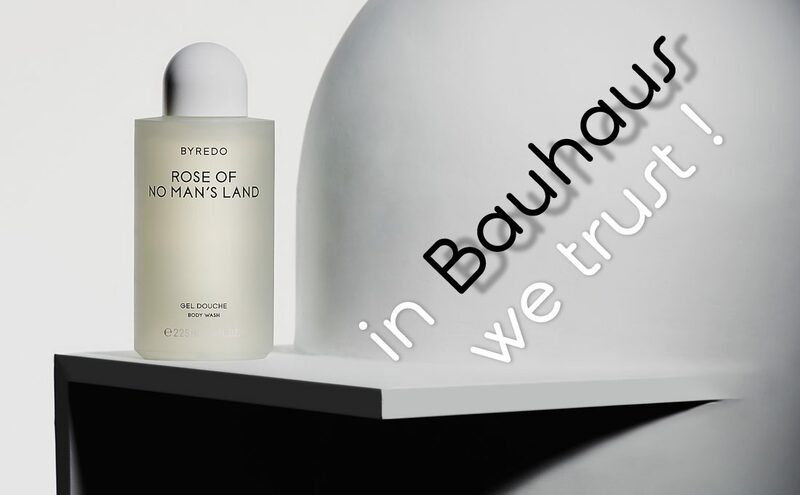 In 1923, Bauhaus architect Rudolf Belling designed a radically futuristic gas station that still holds up against Byredo’s minimalist bottle design for No Man’s Land almost a century later. The fragrance’s DNA reveals a rather radical and daring character by offering red rose, raspberry bloom, and amber to a unisex target group. 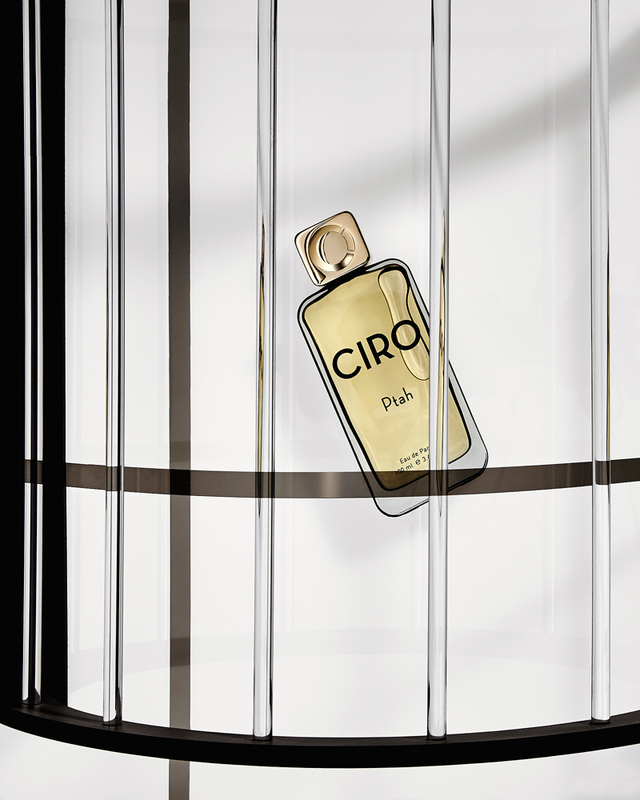 The perfume brand Ciro was founded in 1921, and is experiencing a reawakening after a long sleep. 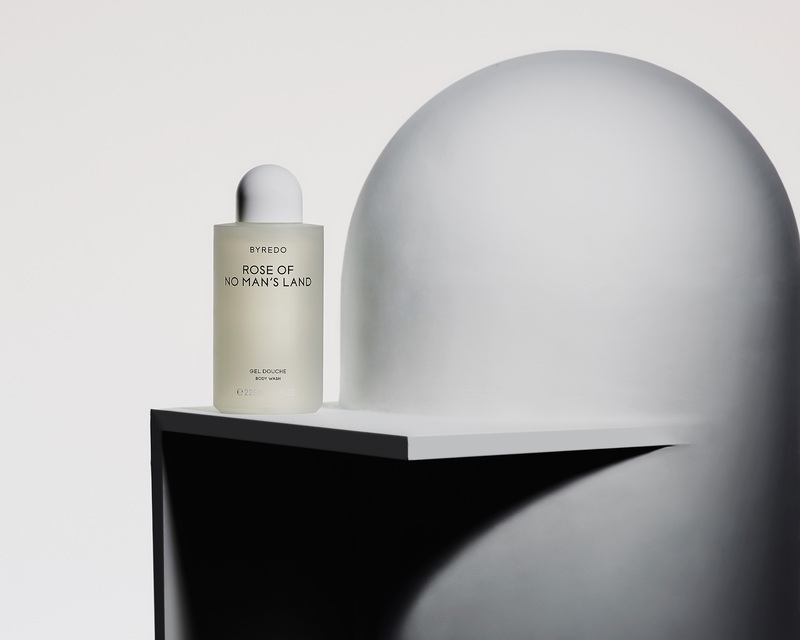 The bottle design of the relaunched brand is sleek and clean, but high-quality material and attention to detail reveal a less-is-more-attitude that any Bauhaus student would have loved to take a whiff of. The set design here refers to Walter Kampmann’s disturbingly futuristic Aethermaske, 1920. It is our task to become pioneers of simplicity. 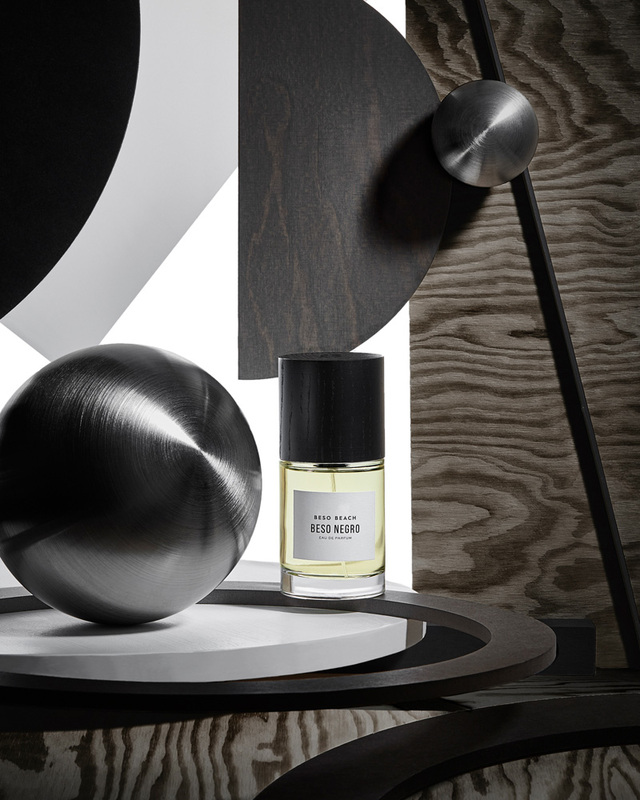 Inspired by Oskar Schlemmer’s work Raumlineatur mit Figur, 1924, this shot features a delightfully weightless scent by Iceland-born designer Andrea Maack. Dual mimics the purity and simplicity of fresh water on a bright new morning — so Bauhaus! If abstraction is real, it must be sensual! Bauhaus artist Walter Dexel’s 1926 Figuration embodies the perfect union of both, serving as the impulse for Kranz to create this image. 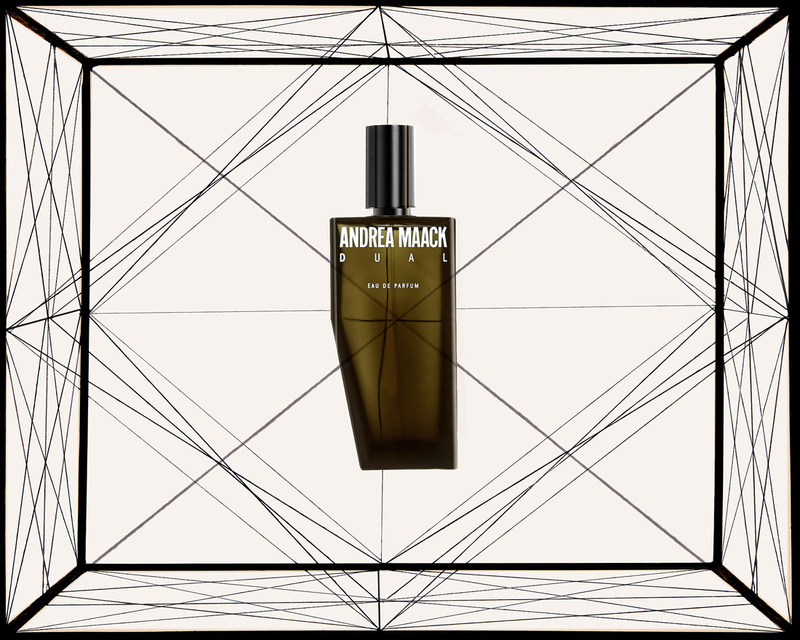 Pure Musc For Her makes a match with its impeccably minimalist and sensual bottle design — never anything less from Narciso Rodriguez. The room is there for the human being — not the human being for the room. If you enjoyed our olfactive Bauhaus tribute you might also like this art-inspired still life series.